If you decide to spend your holidays in Bulgaria we offer to you a large and light double room for those who like to feel the sun and free space. If you need more light and air, you can go to the balcony and enjoy the beautiful Bulgarian nature. And the balcony is a great place to enjoy your time comfortably with a laptop or an interesting book. 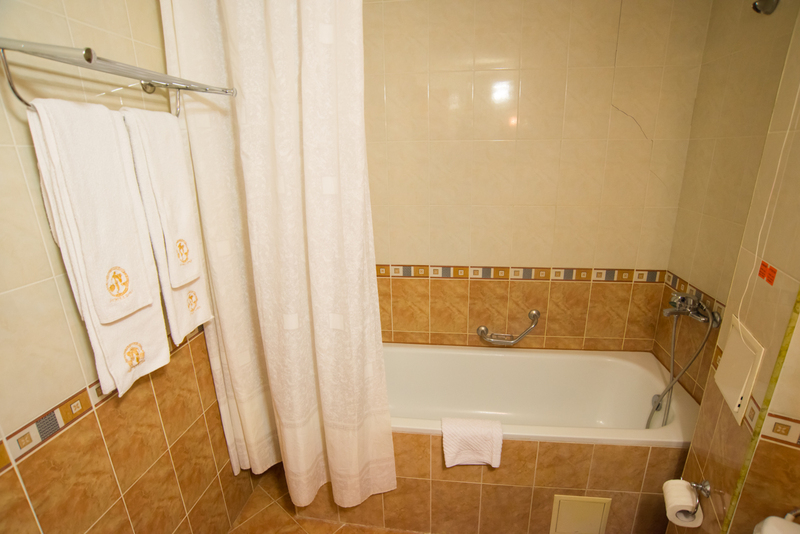 Each studio has a WC and a bathroom with a bathtub, shower, SOS system, hair dryer, toiletries, as well as fresh towels and bathrobes. You do not need to search for mineral water specially, because it is already running from the taps of your bathroom. 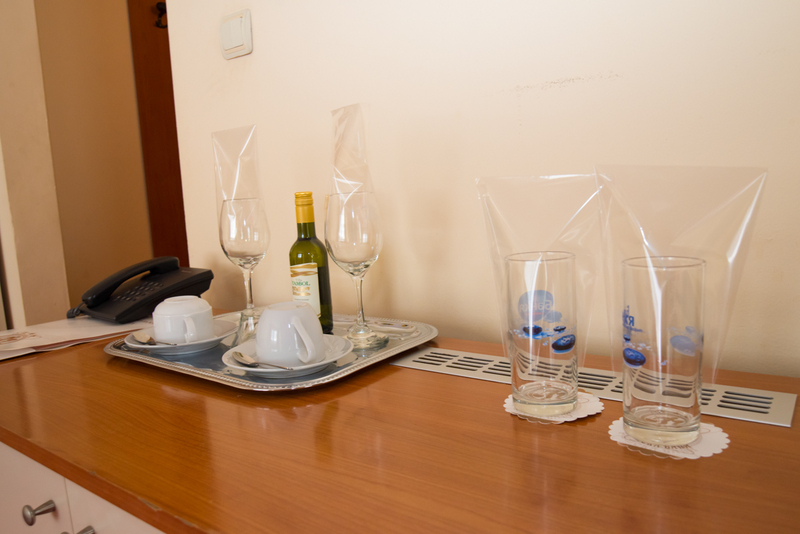 We are glad to take care of a quiet rest for tired guests: all studios have cable TV and a telephone. Wi-Fi is free all over our hotel. If you need to work even during your vacation, a comfortable work desk is at your service. There are also electronic safes installed in every studio for the safety of your belongings and designed to contain a laptop. Please, be sure to let us know in advance and we will arrange an extra sleeping accommodation, i.e.a fold out chair bed or sofa, or baby cot for kids up to 5 years, where your baby could sleep comfortably.